In its recent article, FreightWaves highlighted a report on Australia's trucking annual death toll as a cautionary tale of driver fatigue and driving vast distances under pressure. Safe Road Australia commented that today's Australian road transport is a high risk industry. But what can be done about it? The current state of fleet safety in Australia is distressing, with the latest report from Safe Work Australia confirming what many fleet managers fear: that something is seriously wrong. More than half of all fatalities were related to vehicles. What’s more, deaths in the road transport industry were reported as over five times that of the national average, with the report concluding that it’s “not due to industry size, but due to [a] disproportionately high fatality rate”. Though the report does not delve too far into the reasons behind such appalling numbers, fleet managers across the country are well aware of the everyday safety challenges facing their fleets. There is an answer, however. A tailored combination of fleet monitoring, driver coaching and other improvement products can tackle these problems head on. Harsh driving is a complex issue. It often stems from drivers’ motivations to get the job done faster. Speeding, harsh cornering, and skipping breaks are textbook in this instance. As a knock-on effect, when fatigue inevitably sets in, drivers’ reaction time drops and the risk of collision or running off the road jumps. To tackle this issue, then, we must consider two factors: how we can help drivers do their job efficiently, and how we can monitor unsafe behaviours. Efficiency is a critical element in many businesses, like delivery, postal or transport sectors for example, but it can also cause instances of aggressive driving if there is a time constraint and drivers feel pressured to put their foot on the gas pedal. 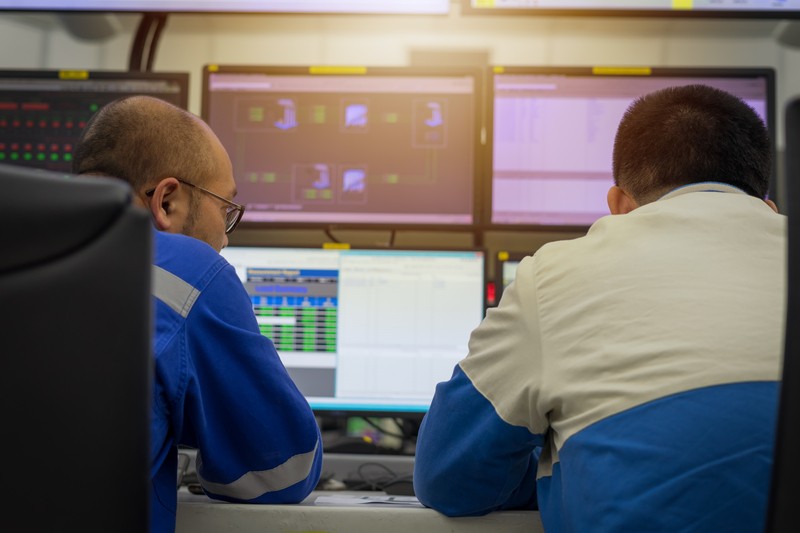 There are specific tools, like the Task Tracker app, and Fleet Tracker that can help improve dispatch, timing and routing in order not to compromise on safety while keeping the operations running like a well-oiled machine. With Task Tracker, you are equipped with an optimal time management tool. 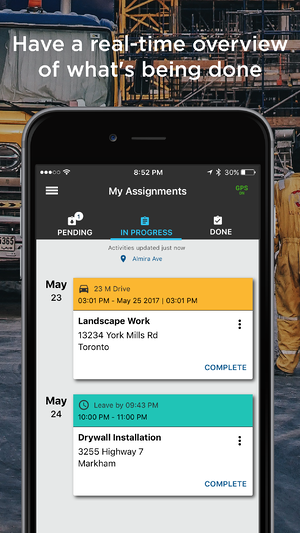 You can see the availability of your entire crew on one screen in your mobile phone or tablet and manage their workload effectively, seeing tasks to completion. You can dispatch the right job to the right person and track active and pending jobs within the app. 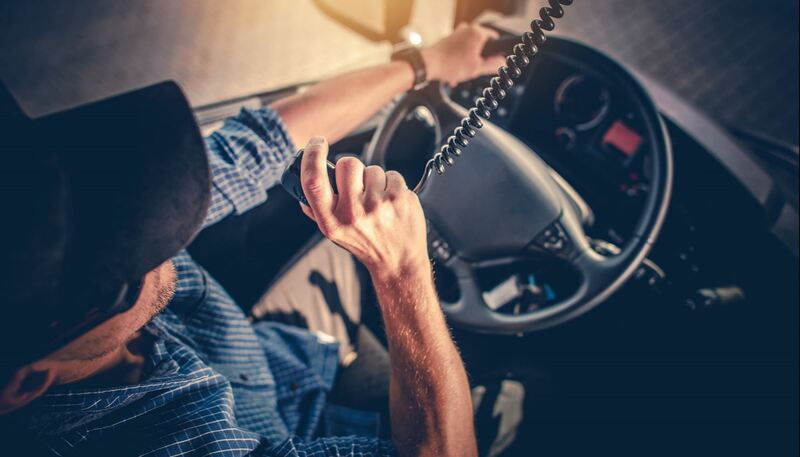 Your drivers can accept or reject assigned tasks according to their circumstances and will receive a notification on when to leave for their next job if they have accepted it – with ample time to the destination. If the case is more of a bad driving habit, then an appropriate driver-coaching program can be implemented, based on driving performance analytics and aggressive driving alerts in real time, coming from a fleet management software. Managers can log in to Fleet Performance on their web dashboard to monitor any unsafe driving behaviours – individually or fleet-wide – and hold drivers accountable. As an auxiliary aid, a video dashcam with live in-cab feedback on driving violations, like Vision by Fleet Complete, can be use to train drivers while on the road. They can then review short video clips on events like lane drifting, tailgating, harsh breaking or cornering, among others, straight in the Vision app, while managers can do the same in their web dahsboard. This way, unsafe behaviours can be corrected. Time is money, and so many managers feel the pressure to have their vehicles on the road as often as possible. Unfortunately, this mindset can have a direct negative impact on safety. Specifically, it often translates into drivers receiving inadequate training when first hired. Further, recommended vehicle upgrades and maintenance work is often either overlooked entirely, or pushed beyond safe boundaries. With a video-based driver coaching tool like Vision, drivers can receive the best possible start to a safe fleet career. While products like Fleet Tracker will help ensure regular maintenance scheduling, capturing 20+ points of engine health, so managers have better insight into when repairs are needed. What’s more, a well-maintained, safer fleet is also reported to help save on significant ownership costs like fuel (3% reduction in cost per mile (CPM)), insurance (0.3-0.5% reduction in CPM) and maintenance (1-3% reduction in CPM), while increasing the resale value of your vehicles at an auction. Improving fleet safety is a long-term commitment, and one that involves drivers, managers, and the innovators coming up with solutions. While the risks evident in the transport industry remain alarming, the numbers show that we are heading in the right direction. Since the safety crisis peaked in 2007 with 3 deaths per 100,000 workers, we have halved the road-related death rate across all industries—an achievement largely attributed to a broader prioritisation of improving fleet safety.